This dish just came to me when I searched fridge trying to figure out what to cook for lunch. 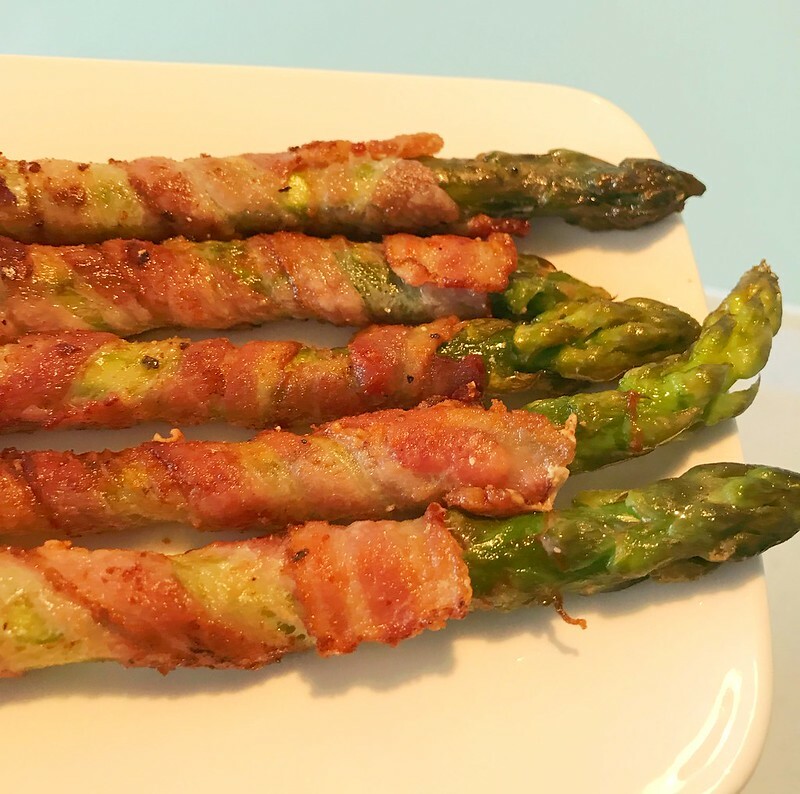 I happened to see bacon and asparagus, and they were waving hands to me. So I decided to eat them. 1. Wash asparagus under water. Remove the bottom. Peel the skin near bottom off. 2. Bleach in boiling water for 3 mins. Don’t forget to add in a little salt in the boiling water. 3. Place asparagus in cold water then drain them. 4. 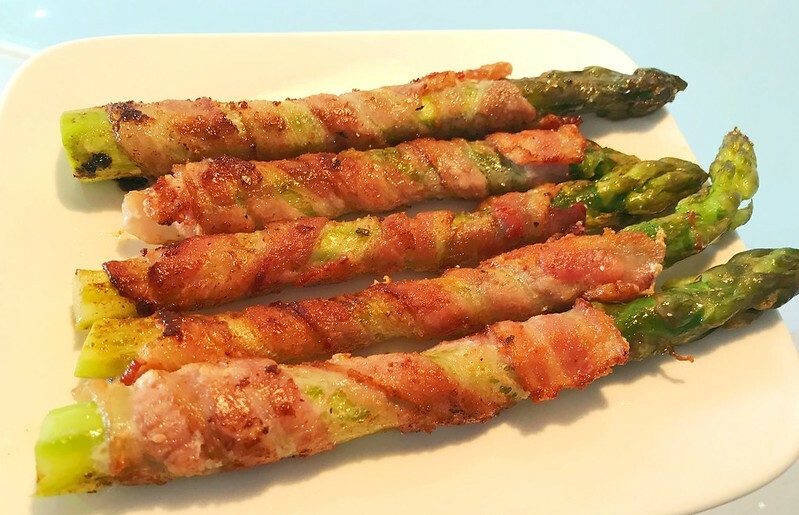 Roll asparagus in a piece of streaky bacon from one end to the other. Roll it tight or it will loose while frying. 5. Heat a pan, add in 1 tablespoon oil. Fry bacon roll with medium or low heat. Roll it to let it be fried evenly. 6. When bacon turns beautifully lightly brown, sprinkle in black pepper.